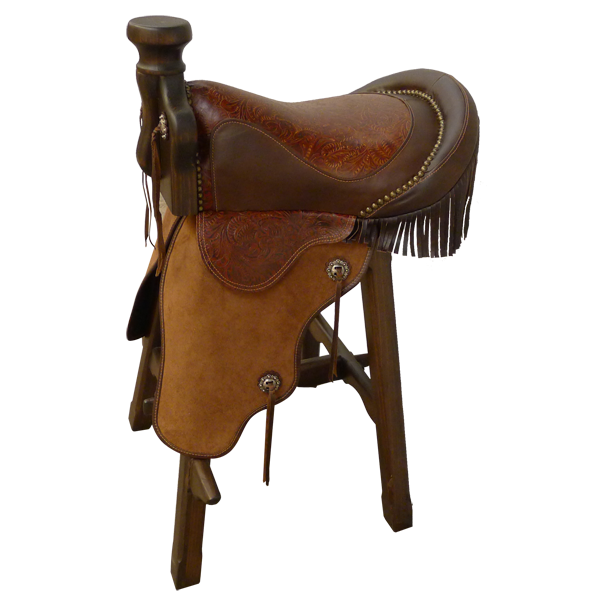 The American Western saddle is designed for comfort, security, and durability. These are the same factors we consider in designing your handcrafted saddle bar stool, but we also add beauty. Each custom made saddle bar stool is unique, handcrafted, and beautiful. 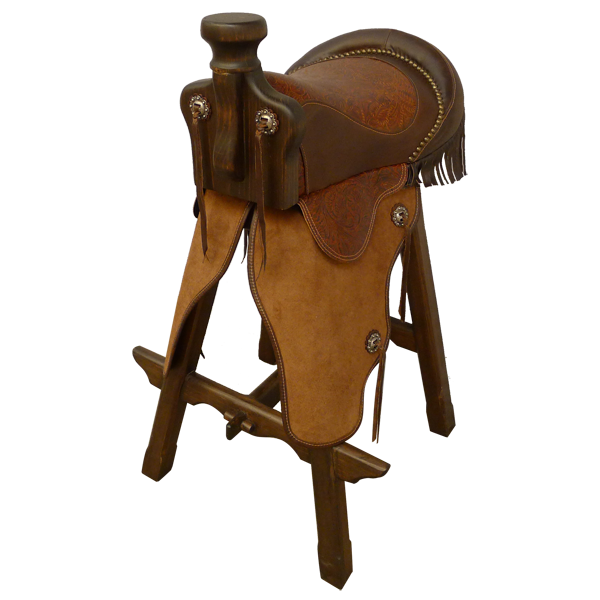 This particular custom handcrafted saddle bar stool features a custom made, earthen colored, full grain leather backhouse cowboy saddle with horn and swell wood body. The saddle seat is made of various kinds of full grain leather including earthen colored, full grain leather seat and flaps, and suede full grain leather long chap fenders. Genuine leather fringe decorates the low back rim, and the saddle is also decorated with hand forged slotted copper conchos with a silver finish with latigo tie strings. The horn is ornately decorated with a circular inlaid hand forged iron medallion with floral designs. 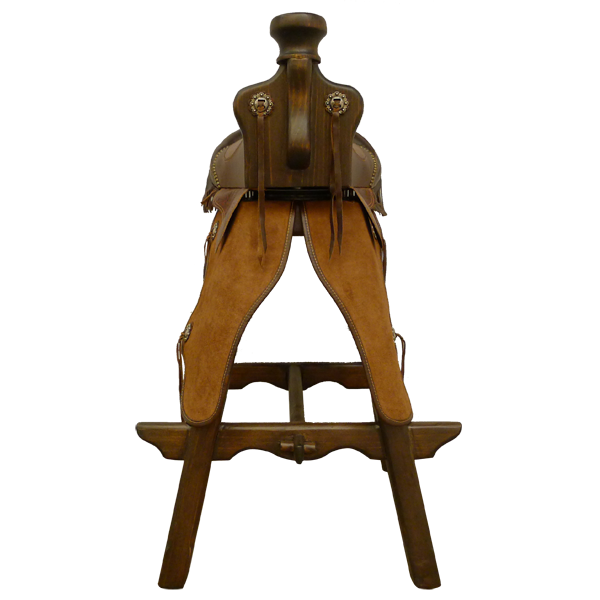 The entire saddle seat securely rest on splayed solid wood legs joined by a curved cut footrest “H” stretcher. The bar stool swivels 180° and is 100% customizable.